Do you want to lose weight, supercharge your energy and feel great? Lee Holmes has the answers in her Fast Your Way To Wellness Supercharged Food cookbook. 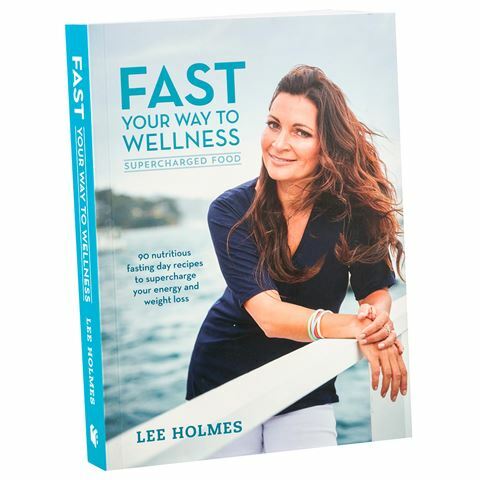 Fast Your Way To Wellness Supercharged Food is a sensible, easy and sustainable approach to fasting, jam packed with nutritious fasting day recipes that showcase healthy unrefined wholefoods that are tasty and incredibly nutritious. Enjoy fibre rich recipes, digestible foods and tasty drinks and smoothies and reap the benefits of increased energy and vitality. Thrive towards wellness and weight loss with Fast Your Way To Wellness Supercharged Food. 90 fasting recipes for breakfast, lunch, dinner and portable snacks. Full of informative chapters that discuss, the health benefits of intermittent fasting, choosing the right fast, Sociable Fasting, weight loss and influential foods, meal plans and much more.